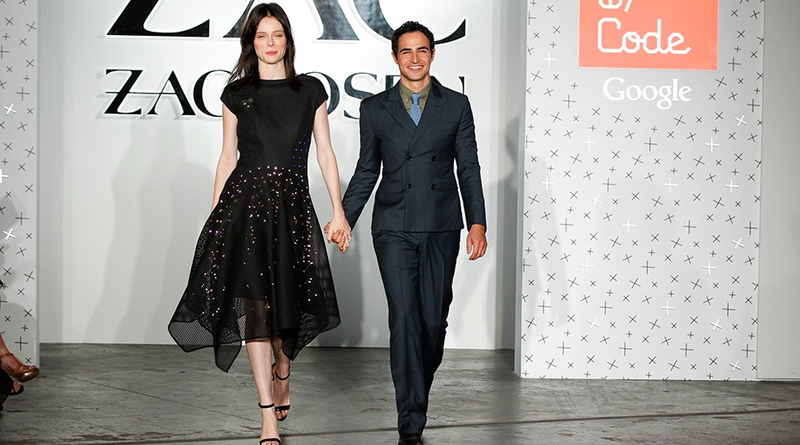 Zac Posen showcased his diffusion line--Zac by Zac Posen--on Tuesday as one of the first major shows to kick off New York Fashion Week. His final look is what really stole the show with its LED components that lit up the runway with several different patterns. Posen credits his inspiration to the city of "Los Angeles After Dark." 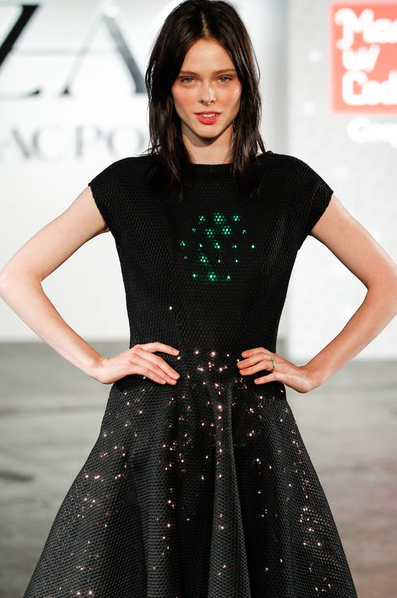 Maddy Maxey who is a fashion engineer and mentor at Made With Code that is backed by Google, helped create this beauty with Posen by developing a circuit that was infused into the textile to allow the illumination of different animations. Posen and Maxey's creation gives us all an inside look into the arena of wearable technology that is also known as du jour. It combines fashion's creativity and the innovative behavior of technology. Project Jacquard is a program is taking it a step further with attempts to actually infuse technology with the very fibers of clothing. 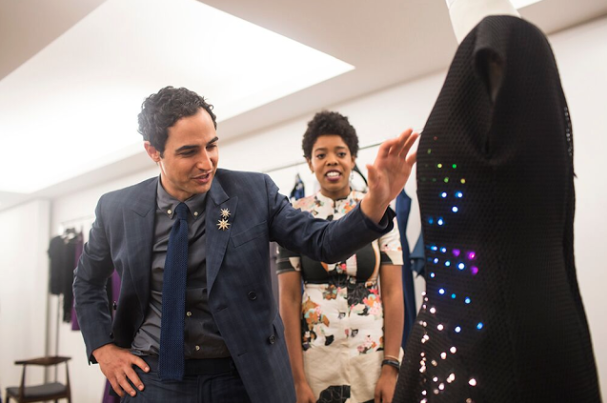 We love to see advances in the fashion industry and this collaboration between Posen ad Maxey from Made with Code matters because there is an immense lack of women in fields such as science and engineering which can make projects like this possible. I have always been an individual who wishes to do everything I can with my passion. Fashion design can mesh with many different industries and doing things off the runway like costume design, styling actors for movie roles, and creating uniforms for sports teams, are all different "out-of-the-box" things I would love to try. Girls should be inspired and encouraged to be smart. Yes, you can always work in the industry but they could also grow up to be the engineer who touch many lives by using technology in different contexts such as this LED dress. Made with Code was actually created for that very purpose. They strive to encourage girls who are interested in coding and creating gifs, mixing music, and creative design. The program already has 50 million dollars in grants to help young women and girls purse their technological aspirations! During my daily browse for various events in the fashion industry I came across this dress and amazing collaboration. I love that there are efforts to encourage girls to accomplish their dreams and better yet the increasing push to influence industries to step out of their comfort zones. What do you think about Made with Code? How do you feel about wearable technology? Could this be the new thing? Wearable technology is big now! There is a maker faire/makefashion in our city (Calgary) that does it really well. Its popularity is definitely growing in different industries! It will be interesting to see what they can come up with next! In Calgary what cool things have you seen?